The City University of New York is turning to online bookstore provider Akademos to help address the rising cost of textbooks. 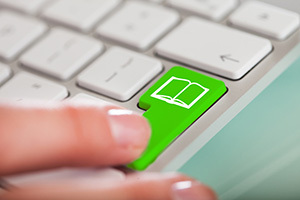 Students from the 12 CUNY colleges will now be able to purchase new, used, rental and electronic textbooks through a custom-branded version of the Akademos online bookstore, where they can save up to 60 percent of the list price on course materials. Akademos features a peer-to-peer marketplace option where students can buy textbooks from third-party sellers at a significant savings — often the same sellers found on Amazon.com, according to the company. But unlike Amazon transactions, purchases through Akademos can be paid for with financial aid funds. On the faculty side, Akademos offers an adoption and analytics portal to help faculty evaluate and select lower-cost course materials. Real-time reporting tracks student utilization and sales trends. Akademos is currently in use at Queens College, John Jay College, Medgar Evers College and CUNY School of Law; plans are in place to roll out the online bookstore to eight more CUNY colleges over the next year. "Our experience shows that students who purchase their textbooks are more likely to succeed in their courses of study," said Vita Rabinowitz, CUNY's executive vice chancellor and university provost, in a statement. "I am delighted that we are addressing this textbook affordability barrier while helping all CUNY students. Our students and faculty have responded well to the value and service Akademos already provides four of our colleges, and we are pleased to extend this service to additional CUNY colleges."